In an attempt to lure you back over from using Instagram, Snapchat has new “object recognition filters.” In layperson terminology, the filters change depending on what you’re photographing. Snapchat began rolling out the update last week without any fanfare and to “get” the update, you need only update the Snapchat app on your phone. The new filters are photo dependent, meaning, you’ll get one set of filters if you take a photo of the beach and you’ll get an entirely different filter if you snap a pic of your dog. According to Snapchat (via Mashable), the object recognition software is only available for photos of concerts, beaches, animals, food, and sports. To get the new object recognition filters, start by updating your app even if you think it’s fully updated. Then, take a photo of your cat or lunch or any of the other pre-approved categories. Once the photo is snapped, swipe through the filter carousel. You’ll see the usual location filters and black-and-white filters and near the end of the carousel should be the object-specific filters. You’ll see filters that say “Pet Cam” for animals, “Single, taken, hungry” for food, and “Ocean View” for the beach, among many others. We put the new filters to the test and let’s just say, it’s a work in progress. Snapchat didn’t seem to recognize this writer’s dog as an animal or an apple as food. 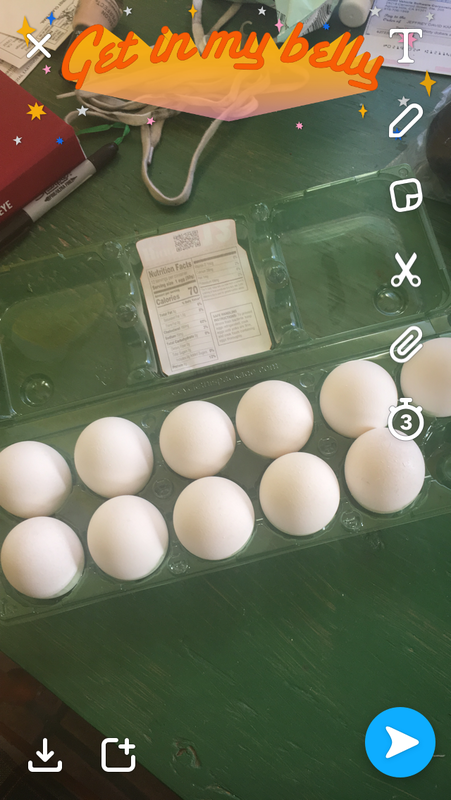 After exhausting every food item in the kitchen, the only objects that Snapchat seemed to recognize were eggs and bananas. This photo of some eggs unlocked the “get in my belly” filter, but the app seemed to recognize a banana as a beach photo and only offered up the “gnarly swell” filter. 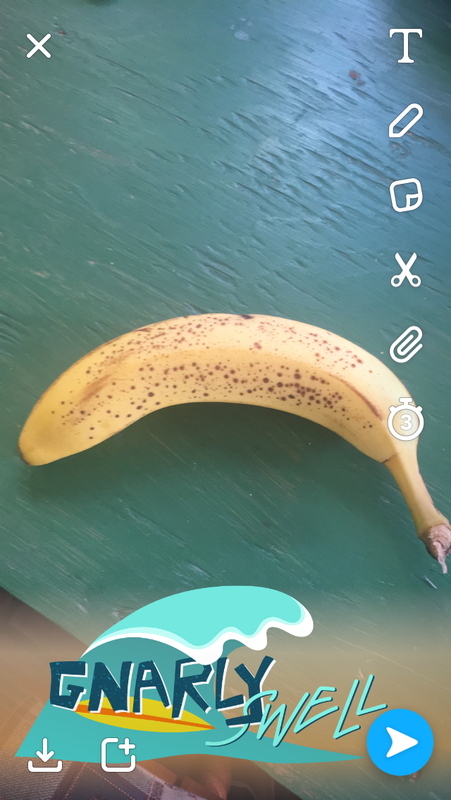 We guess a banana looks like…a beach?